"Stop, Children, What's that sound? Everybody look what's going down..."
herbicide -is meant to kill weeds and unwanted plants. It is the mixture of two pesticides and since 1930, heavily used in the growing of our crops to kill off plants that were infringing on crops which increased food production. It later came into use in warfare to devastate huge land masses of jungles and vegetation to destroy their growth. pesticide - is meant to kill, destroy or be a repellant for some form of life. According to the EPA, its job is primarily "preventing, destroying, repelling or mitigating any pest. It is a category term for herbicides, fungicides and insecticides. Pesticides have active ingredients that kill the pest and inert ingredients that help the active ingredients work better." insecticide -is meant to kill insects. DDT is the most well known insecticide, popularized by Rachel Carson's 1962 book "Silent Spring." The link allows you to read more about how it was sprayed on our crops and linked to cancers in animals, which led to research on how it affected humans. fungicide - is meant to kill fungi or fungal spores. Used in crops and animals to control fungal infections and infestations. The Environmental Protective Agency (EPA) was not formed until 1972 to bring this category under regulation. The Geneva Conventions - a convention where a group of countries agreed they would not use chemical warfare. If they did or were caught doing so, they were said to be in violation of the Geneva Accord. Documents were drawn up, spelling out the rules for wartime, which would protect people who were not involved in the hostile areas but also the sick, wounded armed forces on the field; wounded, sick, and shipwrecked armed forces at sea as well as civilians. The Geneva Accord of 1954 (between France and South Vietnam, also known as Viet Cong) -divides the area giving the Viet Cong the rule of territory south of the 17th parallel but to still be sponsored as a French dependency. 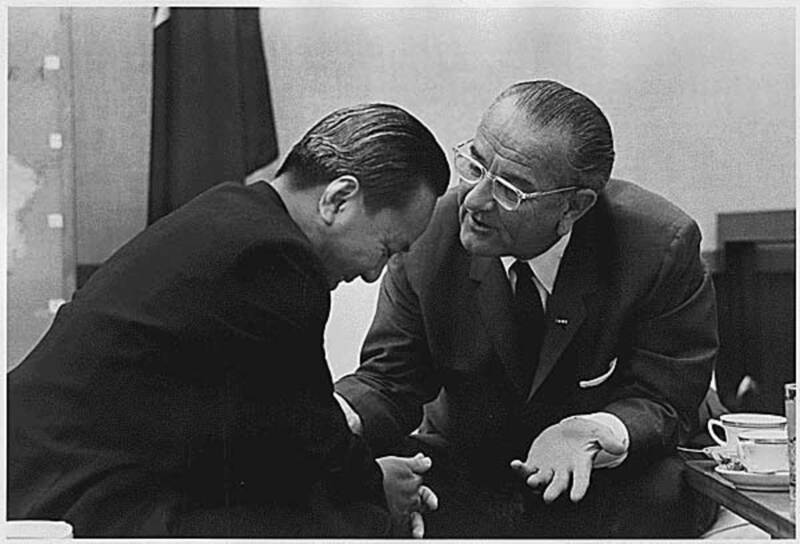 South Vietnam said no, they preferred American sponsorship, intentionally rejected and didn't sign the agreement. Thus, if they didn't sign, they felt they were not bound by the agreement. They then divided the country in half and went to war. Eisenhower pledged support to South Vietnam January 24, 1954 - "with strings attached" - he sent military advisors to train South Vietnamese. In 1955, he sent in the CIA to conduct psychological warfare against the North. 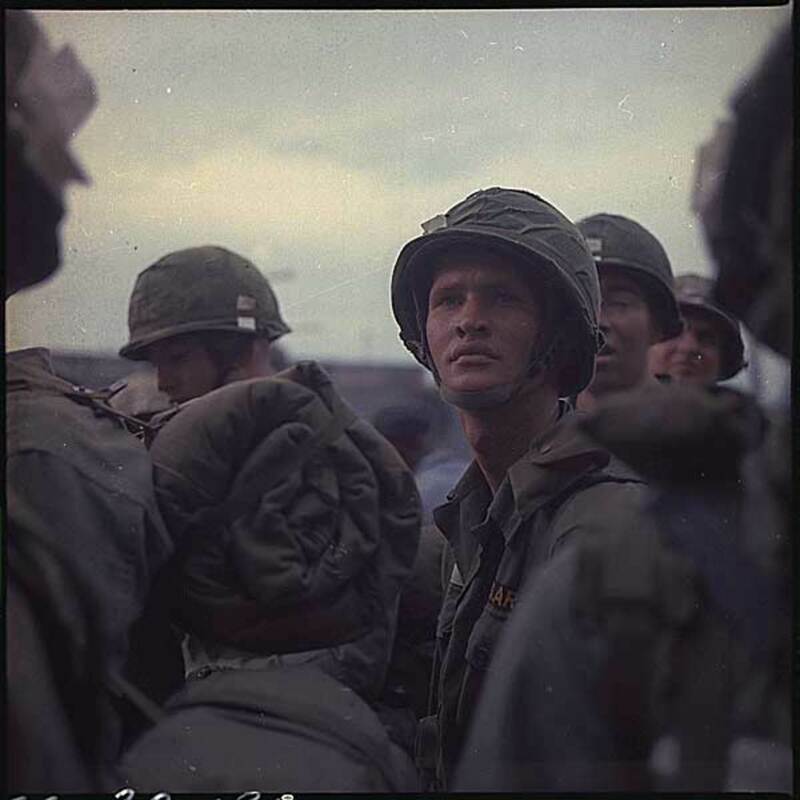 In 1961, Kennedy secretly sent 400 Special Ops Green Berets to teach them how to fight, but when he was assassinated, seeing there were more than 16,000 military advisors in South Vietnam, President Johnson made the decision to leave them there, and declare war. 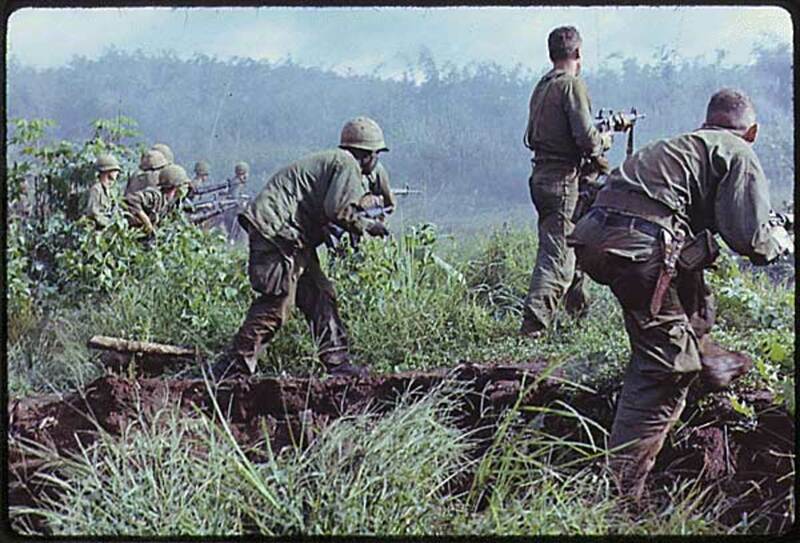 The USA officially entered the Vietnam War in August 1964. 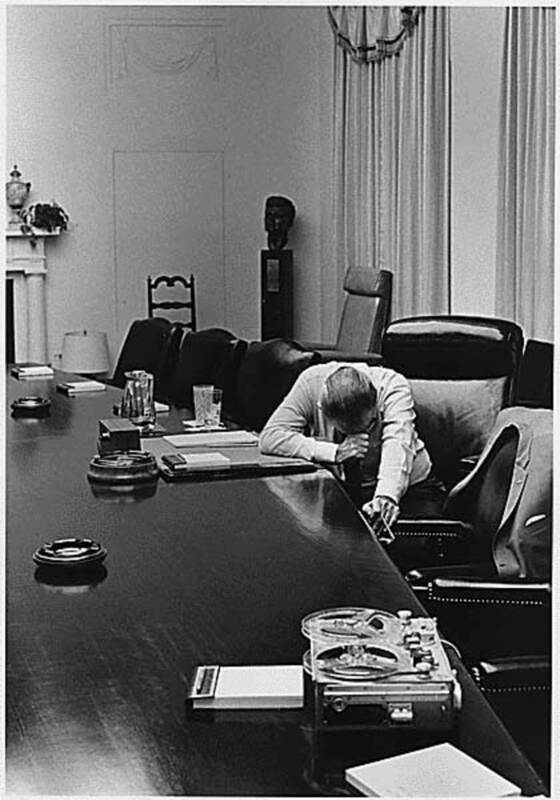 President Johnson was granted a "functional" declaration of war by Congress (they have to give the President the go ahead to declare war. This is one thing he can't do it on his own). By March 1965, this authorized the bombing north of the 17th parallel on North Vietnam. 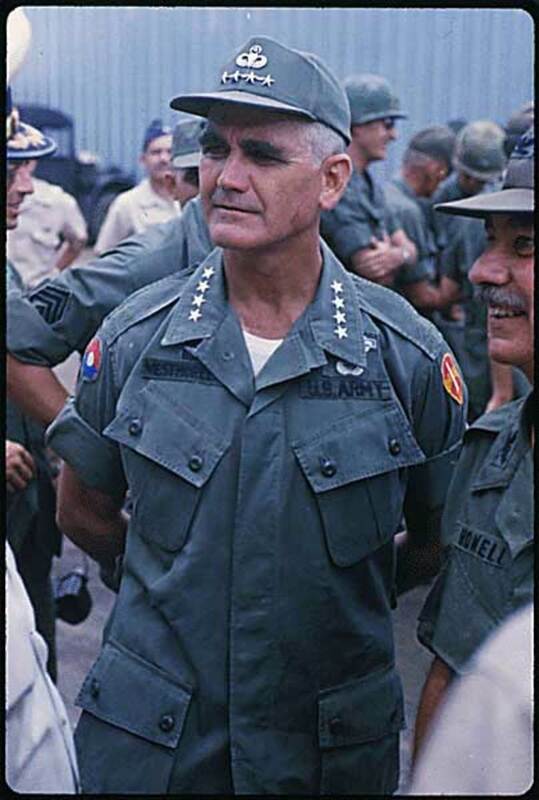 He sent 3500 Marines to South Vietnam, and the US was now officially at war. 1) North Vietnam side included the Soviet Union and China who fought alongside communist rebels in Cambodia & Laos against the US governments who backed them. 2) South Vietnam (Viet Cong) side included USA, Australia, South Korea, Thailand, Free World Military Forces and a few smaller countries. The North claimed victory in winning the war. Silent Spring by Rachel Carson - a 1962 book about the use of DDT, a pesticide primarily used in World War II to kill malaria-carrying mosquitoes. She called out the bad uses of DDT where it hurt the environment, crops and living things, especially birds, which were the basis for her book. Monsanto and several large chemical companies actually threatened her with lawsuits about her DDT claims which inspired a whole generation to start becoming more aware. The chemical companies even tried to put it down to her being a "hysterical woman" so people would not believe her claims. In 1972, DDT was banned for agricultural use. The 50th anniversary edition brings the history up to date. Rachel Carson suffered with various cancers but died of a heart attack in 1964. The link is to an impressive website set up in her honor. The Paris Peace Accord was signed in 1973, but the fighting didn't stop until 1975, putting both countries in violation of the accord. This set the theater for war crimes, trials, tribunals and inquests. 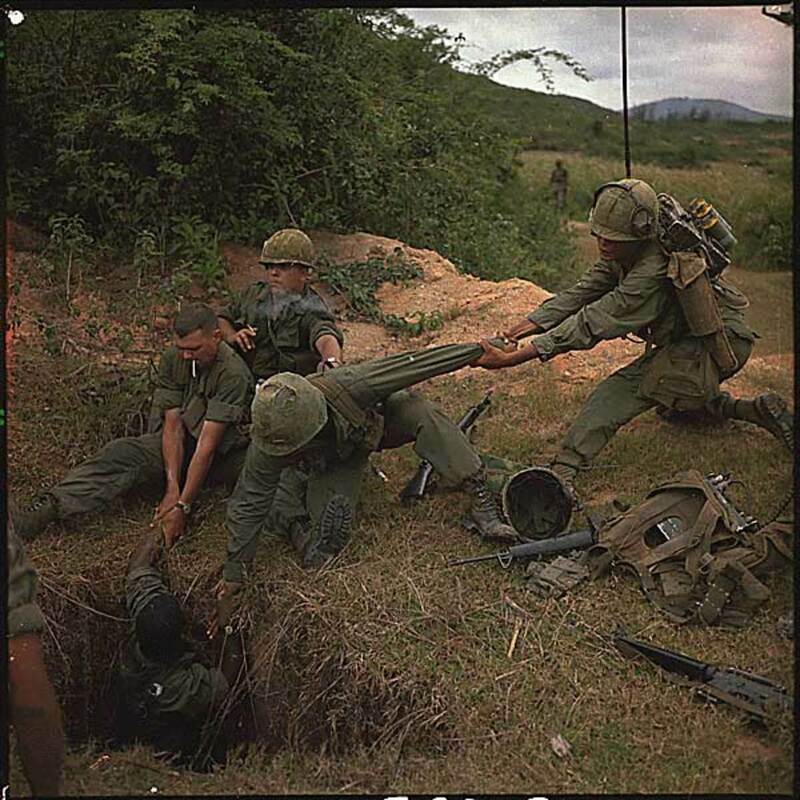 The Viet Cong started out as a haphazard group of guerrilla fighters who supported North Vietnam's cause which was - to accept being ruled by the Soviet Union, a Communist country. 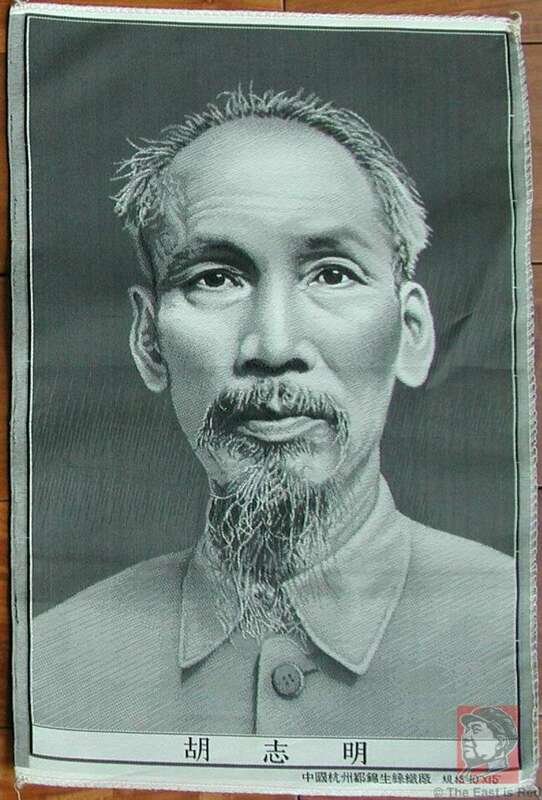 Most of North Vietnam citizens were communist and when the Soviets wanted to conquer the country to bring all of the country under Communist rule, South Vietnam said "no way." Thus was the beginning of the war between the North and the South that endured 20 years. 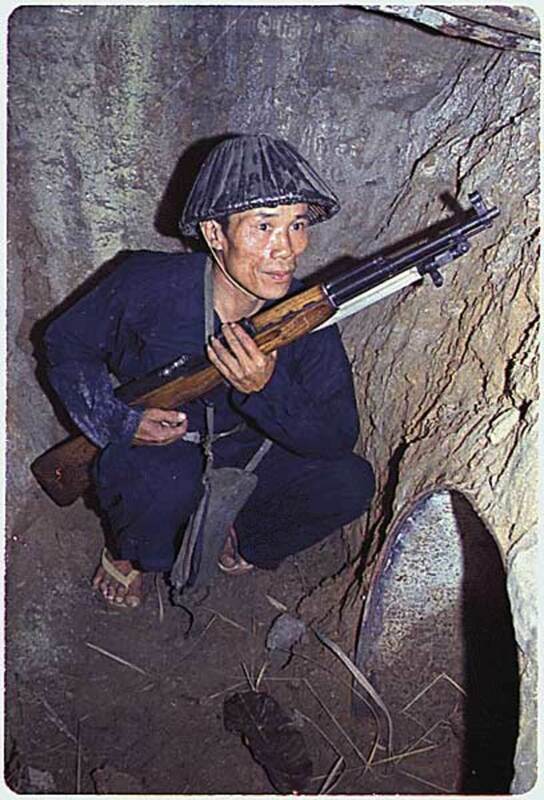 The Viet Cong army was dissolved in 1976, when the whole country came under Communist rule after all. This army had a very sly streak running through it, both in how they fought, what they savagely did to the people in each village they entered, and to their captured prisoners - whether they were civilians or military. It made the USA hate them all the more and that hate was transferred to the citizens of the United States. 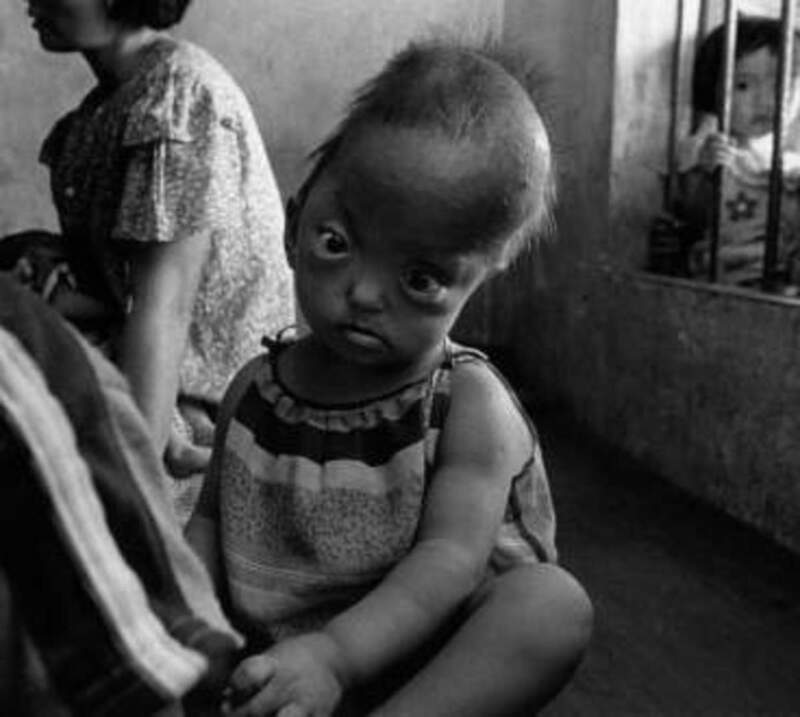 Liberal use of Agent Orange wasn't given a second thought nor were the aftereffects of its use. The name Viet Cong means "Vietnamese Communist," however their name was referred to in USA and South Vietnam circles as "Charlie," "Vietnamese commie," or "VC." None of these terms were meant affectionately. 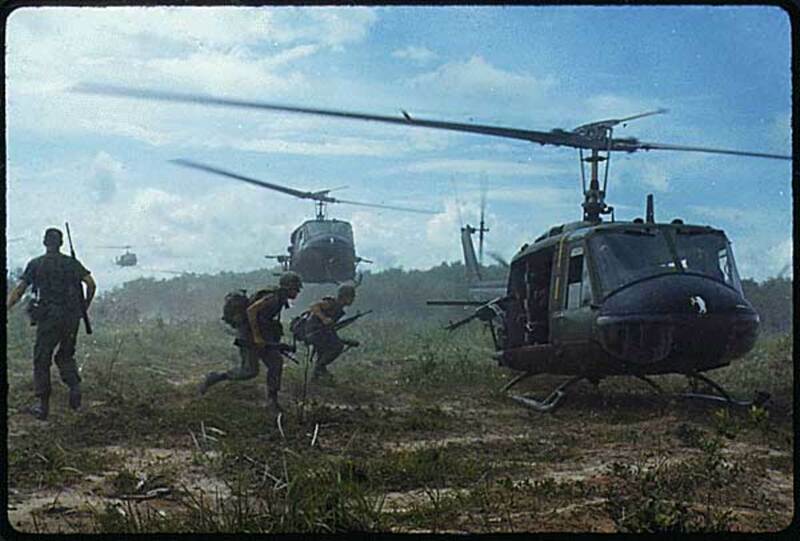 This is not a hub about the Vietnam War. It may look like it, but it really isn't. This hub is about the chemical named Agent Orange, about the illnesses that exposure to it has caused, and about how even now, more than 40 years later, Agent Orange is still affecting the people who were exposed to it during the Vietnam War. Contrary to popular belief, not only soldiers got sick, civilians did too. One both sides of the war. If the words "Agent Orange" don't ring a bell with you, it may be that you are too young to remember. Or maybe you're like the many kids who hated History class, where it all went in one ear and out the other. 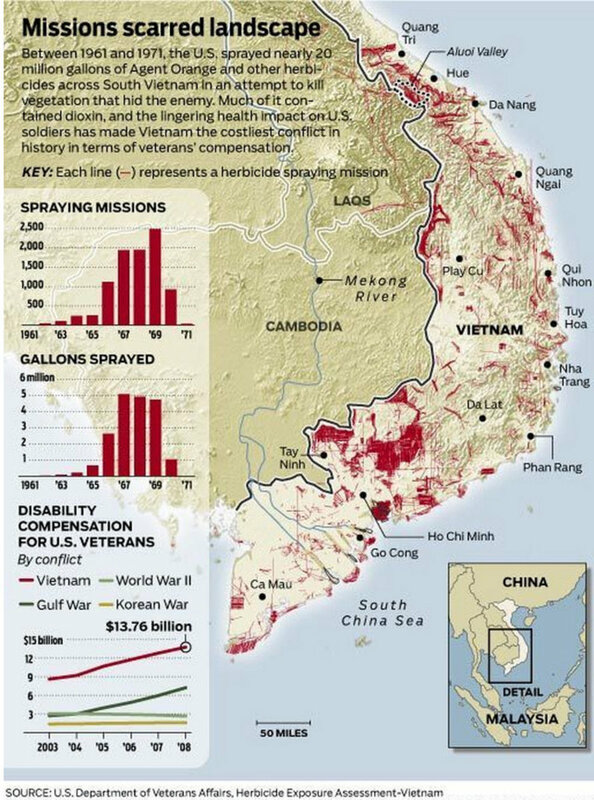 In any event, to be able to discuss Agent Orange and its effects, I need to bring you up to speed on some of the events that led up to how these people got sick in the first place and in order to do that, I have to give a little history lesson about Vietnam. I will attempt to do that with some detail about the Vietnam War, and the American, Australian, British, Soviet, Chinese, and Vietnamese soldiers who fought there. 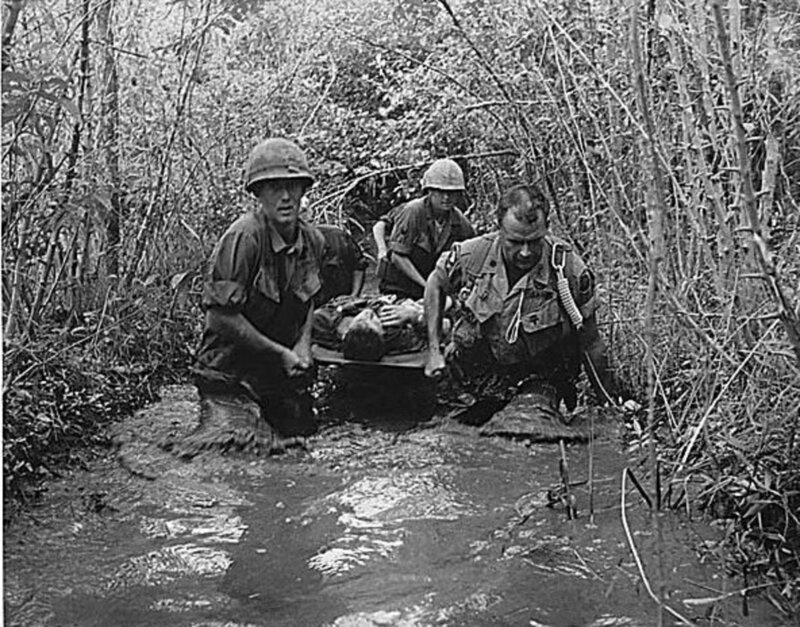 If it wasn't for events leading countries to go to war, these soldiers probably wouldn't have been there to be dealing with effects of Agent Orange today. As we go further in this article, the herbicides, defoliants and all of the different "cides" I'll be referring to can get confusing, so I've put a glossary in the sidebar with definitions and some details about important events. Please click the links for more details. If you have a scientific mind and understand all the formulas, this link will lead you to a site that details each chemical. So, what is Agent Orange? So ... what's a herbicide? It's a combination of two very strong pesticides developed by The Monsanto Company and Dow Chemical Company. Over two-thirds of the formula contained TCDD - dioxin, a highly toxic substance, which has since been linked to many types of cancers and severe birth defects. A herbicide cannot be targeted to a certain area - it kills the ground and all its vegetation. A pesticide is slightly target specific, I guess you can say, because it kills only pests and insects, but it kills them no matter where they reside. Combine the two and you have a toxic combination that is not fit for man nor beast. The word "afterlife" refers to residual - how long it remains in the ground and in the air. It was an unknown at the time, but when you read historical documents, it was something no one worried about anyway. 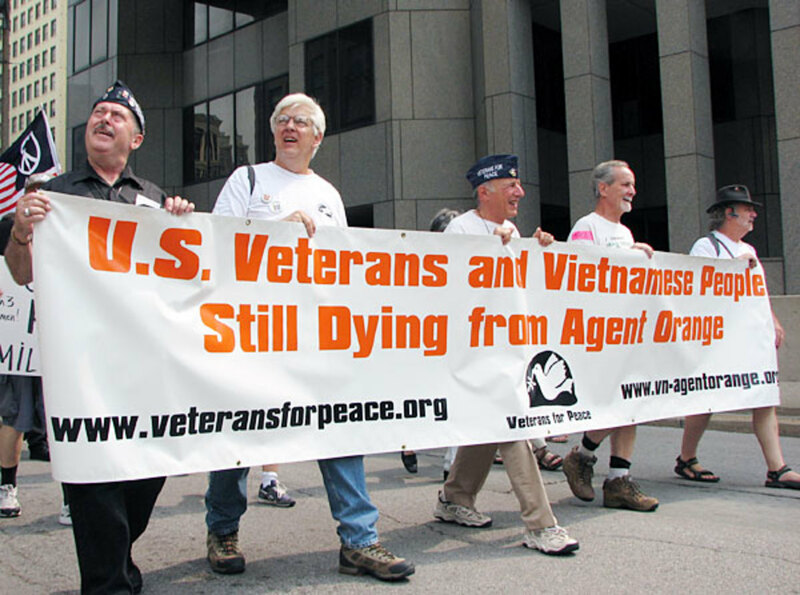 Why was Agent Orange ever developed in the first place? 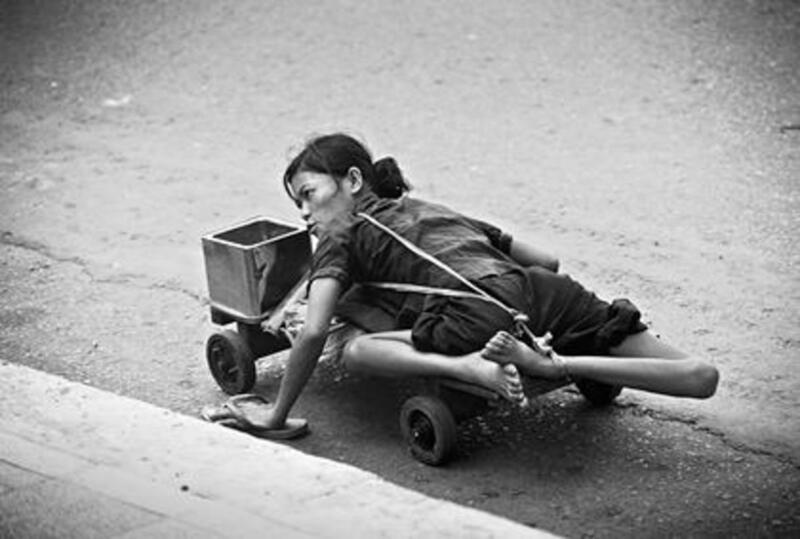 Likely the way most things are invented or developed - either out of necessity or out of desperation. The South Vietnamese were desperate to win the war against the North Vietnamese - to avoid coming under Communist rule. The Vietnam War wasn't the first war to use chemicals. During the early 1950s, the British used herbicides and defoliants to destroy the bushes, trees and crops in Malayan Emergency. In 1951, the Malayan government bought more than 15,000 gallons of Trioxone and since the British were familiar with using defoliants, the Malayans asked for use instructions in their war against communist influences. Ten years later, in August 1961, South Vietnamese President Ngo Dinh Diem wanted something to get rid of the overgrown forests so that the enemy couldn't hide and use them as shields. The answer was herbicides and defoliants to be sprayed all over the dense crops, trees and forests of North Vietnam to prevent them from hiding and also of food sources. To that end, they asked for the USA for more help in addition to what the USA were already giving them since the Eisenhower years, with all their resources on land, sea, air, manpower and technology, the United States was able to fill the need. Everyone got more than they bargained for. Agent Orange - A Weapon of War? 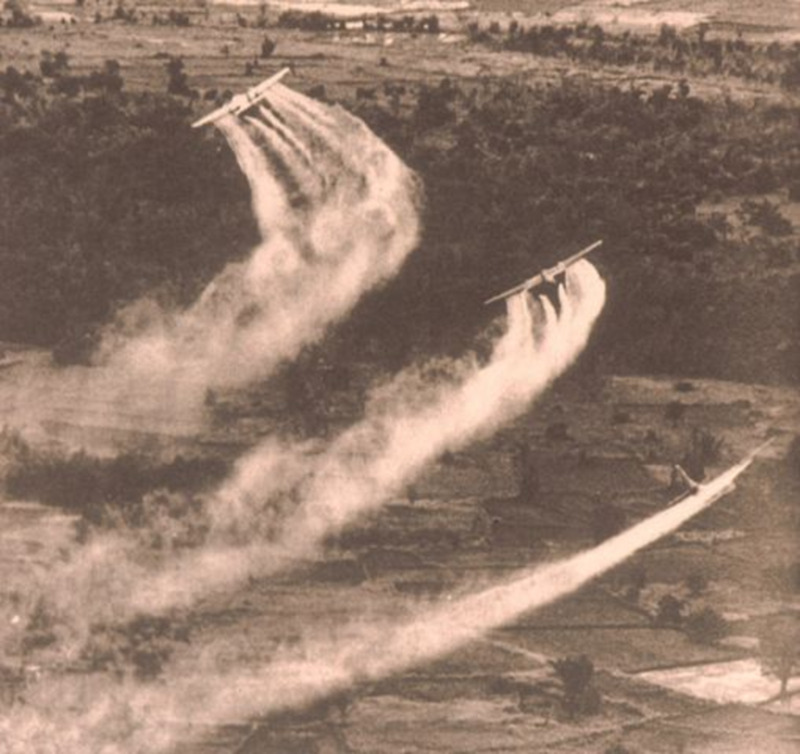 With the exception of the Malayan Emergency in 1951, herbicides had been used mostly in agriculture (crops). In November 1961, President John F. Kennedy authorized the start of Operation Ranch Hand, the US Air Force's code name for the Vietnam herbicide program (they seemed to have a code name for everything). Two of the largest US chemical companies were asked to fill South Vietnam's herbicide request. However, Congress was conflicted because as part of the Geneva Convention, chemical warfare was a violation. But, because the British had already used herbicides and defoliants during the Malayan Emergency in the 1950s, the US cited past practice as approval to go ahead, even though chemicals in former wars were nowhere near the lethal combination of two herbicides that made up the formula for Agent Orange. As I have stated in my other plagarism hubs, if you see past practices exercised often enough, they become acceptable practices. So as a general rule, the assumption of past practice as approval carries across the board. Monsanto and Dow were also conflicted about supplying such dangerous chemicals in bulk. They didn't stay conflicted for long. The Geneva Convention says if a country requires supplies from any company in war time, then the company must supply it. That they were paid handsomely did not go unnoticed. The purpose of Agent Orange was to kill all vegetation, food bearing plants and trees so the enemy would have nowhere to hide, and thereby losing many food sources. In past practice, it pays to go to war because the loser of the warring countries tend to see their economy rejuvenated and their cities rebuilt when war is over, but not all. So, whenever there is a chance to make money on a war, other countries come out of the woodwork and all of a sudden, it becomes everyone's war. In 1964, several scientist organizations protested using defoliants. In 1967, over 5,000 scientists signed a petition asking the government to halt the use of all herbicides in Vietnam. Their efforts were wasted, because the government opted to increase its usage of the chemical until 1970. Click thumbnails to see all the photos and captions. Agent White (Tordon 101): with picloram which contaminates water in place of Agent Orange while supplies dwindled, used 5,239,853 gallons from 1966 to 1971. Agent Orange II: used after 1968. Enhanced Agent Orange, Orange Plus, or Super Orange (SO), or DOW Herbicide M-3393: had picloram, a proprietary DOW Chemical product called Tordon 101, an ingredient of Agent White. More than 19 million gallons of chemicals were sprayed. Agent Orange is said to have received its name because of the orange stripe on its containers. A 1969 report revealed that the two herbicides making up the formula for Agent Orange could cause birth defects and still births in mice. In 1970, a team of scientists filed reports after conducting field tests to determine the ecological impact of the herbicide use in Vietnam. Both these reports finally got the government to hold off on using Agent Orange, but only temporarily. 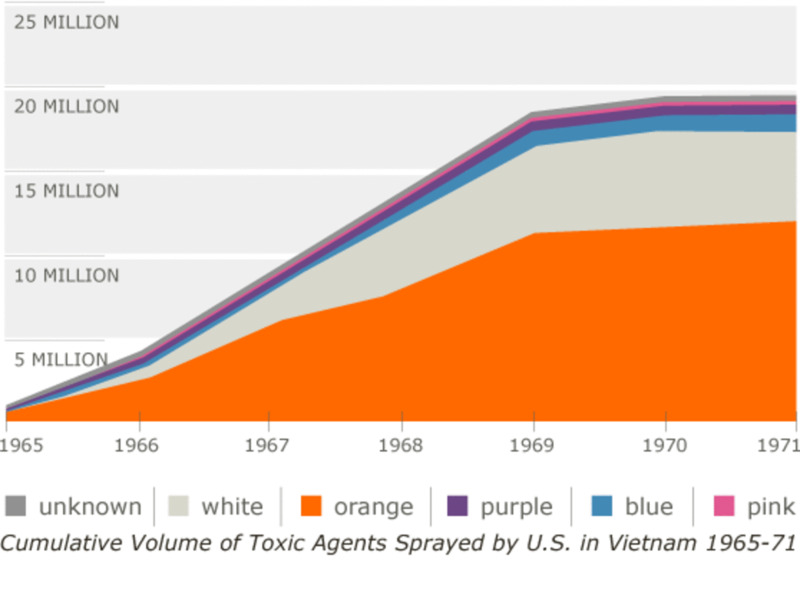 They replaced Agent Orange with Agent White until supplies dwindled down only to be replaced by Agent Blue. 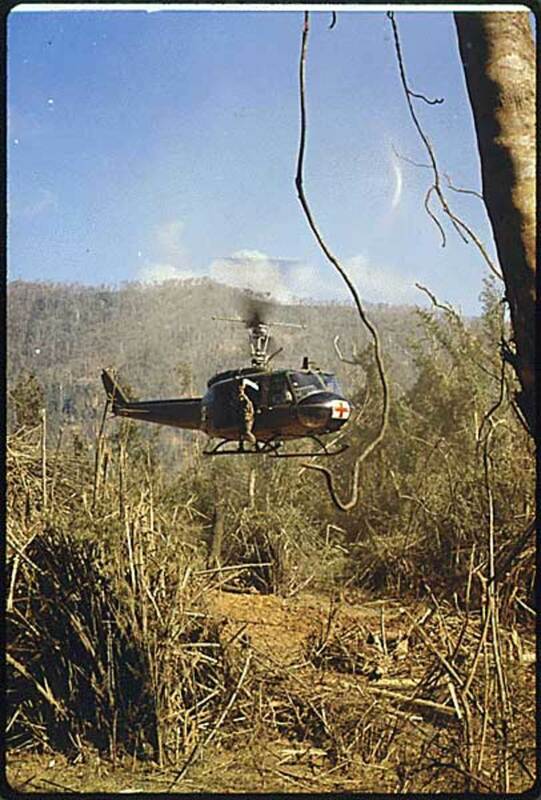 The last defoliation spray of Agent White was May 9, 1970 and Operation Ranch Hand's final Agent Blue flight was January 7, 1971. Each Rainbow Agent is discussed in the sidebar. Dow Chemical and Monsanto both brought a certain expertise to the table which is most likely why they were chosen for the US government contract to supply herbicides for use in Vietnam. In 1951, Dow Chemical had already created a formula for a Super Agent Orange which included dioxin (2.4.5-T) and they supplied the Vietnam War with napalm from 1965 to 1973. From 1954 onward, Monsanto had a steady supply of the 2.4.5-T, the chemical needed to create Agent Orange, as well as a number of other herbicides. Monsanto dabbled in other products before settling on herbicides, insecticides and GMO seeds. Monsanto's background had initially been in plastics, PCB's, polyurethane (rubber, foam, shellac), synthetic fibers, and saccharin which was under scrutiny due to lawsuits regarding bladder cancer. Author Note: I thought about writing about the dangers of sugar substitutes, aspartame and saccharin, but after writing this hub, the Monsanto Company sickens me and i really don't want to give them any added mentions that will get picked up by search engines to give them more recognition. In 1944, along with 15 other companies, they manufactured DDT, an insecticide used against malaria carrying mosquitoes, which was later banned in 1972. In 1946, they developed "All Laundry Detergent" (later sold to Lever Brothers). One can only imagine the harmful ingredients in that product. In 1954 Monsanto partnered with Bayer (the aspirin company) to create The Mobay Corporation. The intention was to manufacture polyurethanes (foam, plastics, shellac). 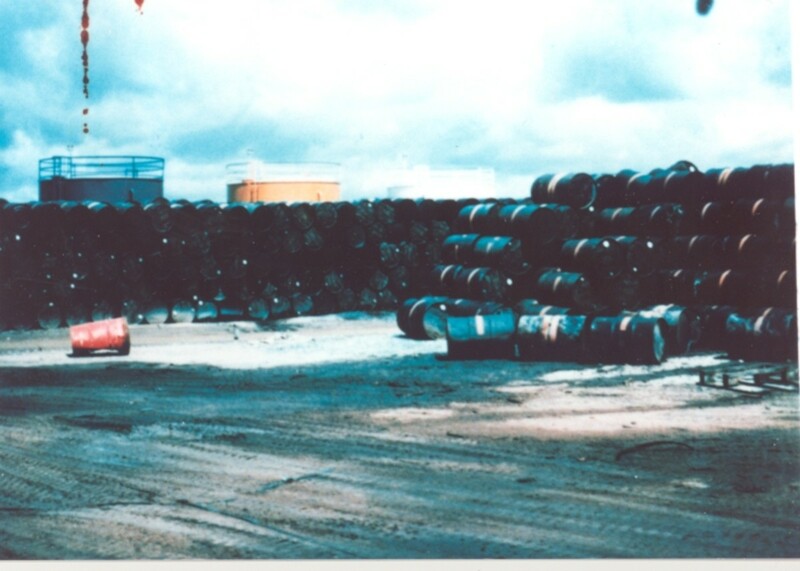 Mobay was Monsanto's major supplier of dioxin-contaminated 2,4,5-T, the chief ingredient of Agent Orange. During another war, the US government requested Mobay to supply them with the deadly chemical Sarin in 2000, which they refused. In 1965, Monsanto invented Astro Turf, which had its own bad press attached to it due to the chemicals involved in its creation. Since 1982, Monsanto's interest has been centered on genetically modified crops. Up until then, their interest was in Seeds of all kinds, insecticides and herbicides, which was the lead-up to the 1970 invention of Roundup, the product used to make seeds resistant to herbicides. 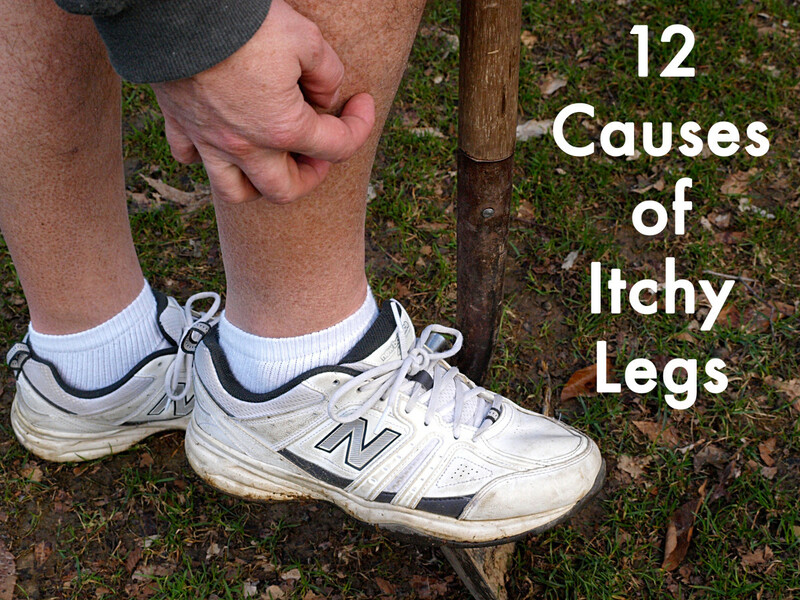 If you use it on your lawn or sidewalks to get rid of weeds, read the label. If you don't know what half of that stuff is, then live with the weeds and save your life from ingesting just the fumes of the chemical. Not only did the US need them, but each of the companies needed each other for the products they had access to, so they could create bigger and better products to fill the US government's order. While the USA ordered a herbicide, what they got was a rainbow of over 100 herbicides. Some readers may find the following photographs disturbing. I apologize, but they are necessary to tell the story. The US Department of Veteran Affairs, also called The Veterans Administration, recognizes this list of diseases as possibly qualifying for benefits as a result of exposure to Agent Orange and other herbicides while serving in the military. 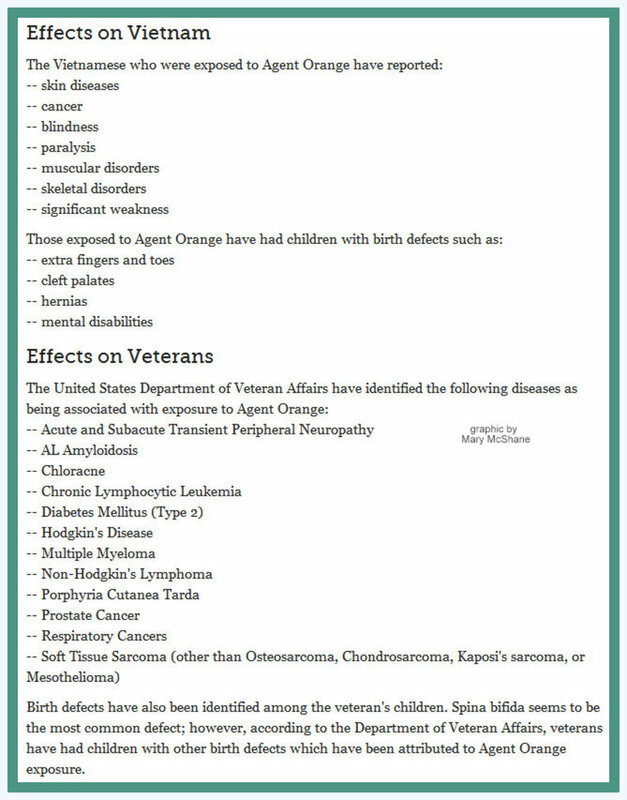 This is the list of birth defects as a result of Agent Orange which is recognized by the VA to qualify for benefits. This war had been a very long war and a very expensive war, the expense of which the United States did not recover before jumping headlong into another war within 5 years, this time in Iran. The patriotic theme Americans were well known for truly abandoned the Vietnam veteran. US soldiers returning from war met with a terrible reception from their fellow Americans. Because of the devastating nightly news reports showing full villages being annihilated, soldiers were called "Baby killers." The 1970s was a time when many Americans were protesting the US involvement in that war in the first place. When veterans came home, there was no ticker tape parade like the ones that welcomed soldiers home from World War I and II. To add insult to injury, they also arrived home in the middle of a recession (the government didn't dare say the country was in a "depression") to where there were little or no jobs for the "Hire a Vet" program that was usually government-sponsored at the end of every war. No jobs meant no medical benefits to rely on. When thousands of returning soldiers sought medical help for post traumatic symptoms of flashbacks, nightmares and day-mares, they were told it was all in their heads or illnesses had some other underlying cause. Trying to recover from the expense of war, taxes were raised and the government was cutting every social, health and welfare program across the board and that also included services from the VA. If they denied their illnesses were ever service related, these veterans would not qualify for Social Security disability when they chose to apply for benefits. And they did. Within two years, soldiers had developed fast growing cancers, respiratory and heart problems, and applied for Social Security disability, starting in 1977. Every Social Security Disability application was denied when they sought validation from the Veterans Administration, that their illnesses were service related. The VA said they would not acknowledge that they were, which trickled down to more cost saving measures for the US. It meant that the government did not have to pay to support them for the rest of their lives with a government check. By that time, many veterans and their families had networked together and came to realize they all had something in common with their illnesses and those of their children. They were all exposed in one manner or another to Agent Orange, either by breathing it or having direct touch contact with transporting or handling, while patrolling or on missions in the jungles of Vietnam or during flying missions on Operation Ranch Hand, which was a US military operation lasting from 1961 to 1973. 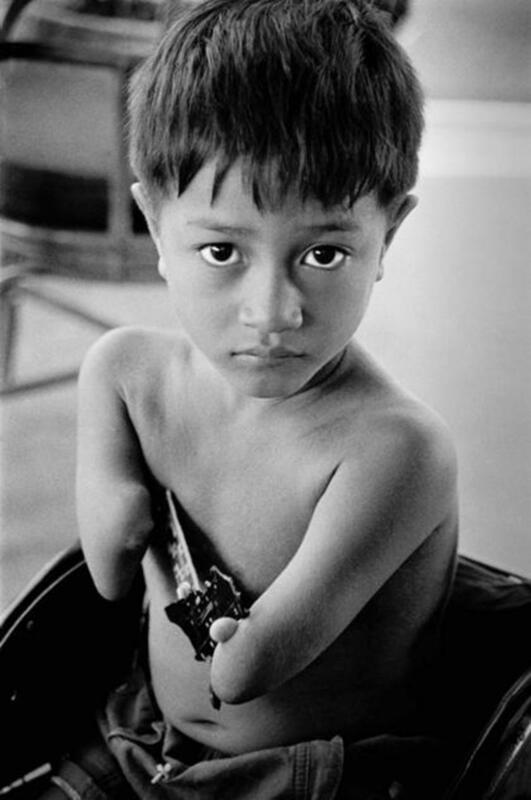 In ten years, the planes that were re-used in civilian life held the remnants of Agent Orange so that people who had no contact with war or were related to the veterans were also coming down with the same diseases. Just from riding in the planes all those years later. For many veterans and their families as well as many Vietnamese and their descendants, Agent Orange is present in their every day life, as much as it was 40 years ago during wartime, because they are still living with the afterlife of the herbicide containing dioxin, a carcinogen harmful to all living things. 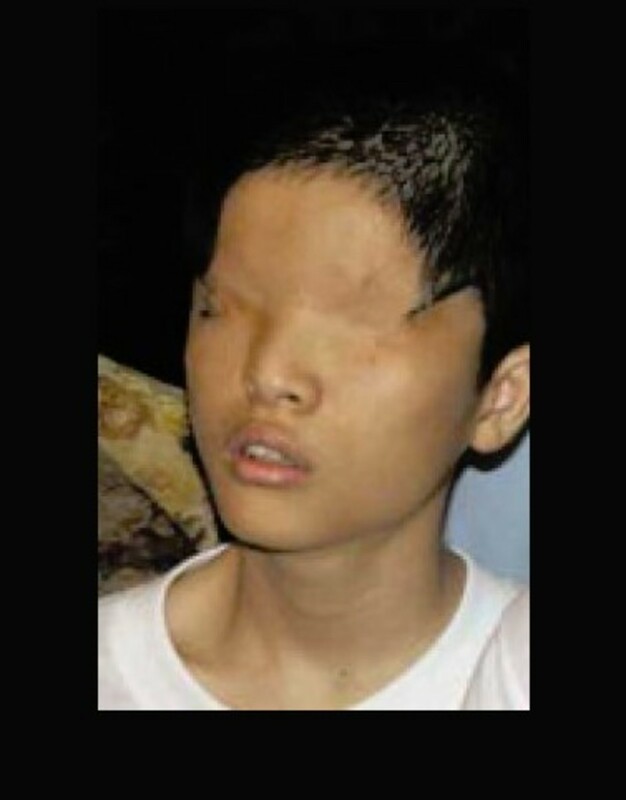 From the various reports I have been reading, it seems that the Vietnamese made the disease connection and knew far earlier than US veterans of the toxic effects of Agent Orange. It wasn't until 1979 that Jerry and Sandy Strait (who wrote in January 2010 on the linked website) learned from a TV interview with Maude DeVictor about the many young vets who were dying of cancer. Not PSTD, not suicide, but cancer. All because they were exposed to a carcinogen that will follow them for generations. A footnote: Since 1993, the Veterans Administration said it will extend health care to any veteran who cannot pay for his medical needs, whether the problem came from wartime or after. Nearly 20 years later. Can you imagine coming home from war in 1975, trying to get disability from the country you protected and not succeeding until 1993? By that time, many veterans had died. With benefits a long way off, veterans decided to go after another entity who had a big part in the Agent Orange debacle. 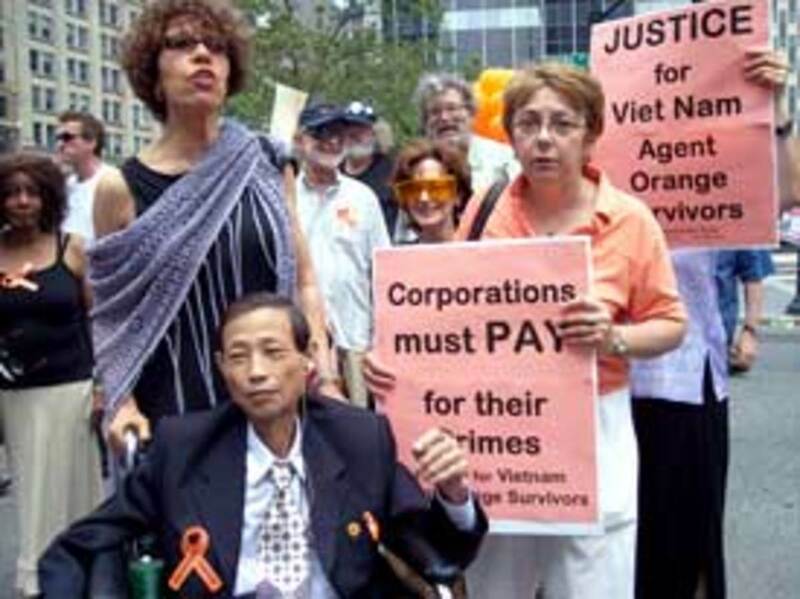 They decided to sue the companies who made Agent Orange. Monsanto and Dow Chemical. I felt that the Video "The Truth About Monsanto And Agent Orange" needs this Warning Message because some of the images can be very disturbing to look at, especially the room with the dead babies in specimen vats and the orphanages with children exhibiting a variety of birth defects. View using your own discretion. January 2014 article about Vietnam Vets still fighting to get benefits due to exposure to Agent Orange. 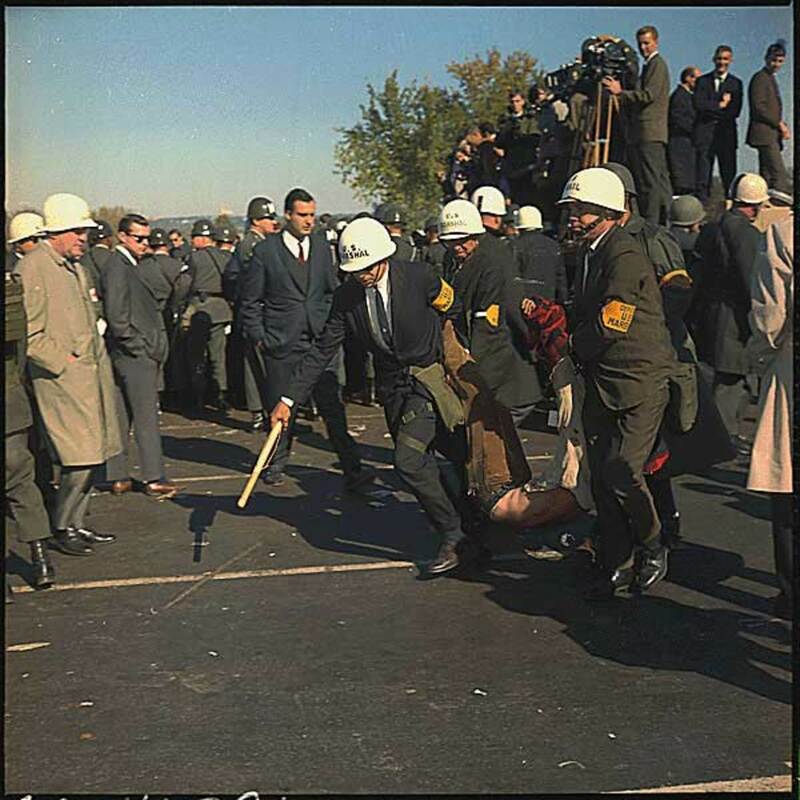 David Dowdell's essay about his tour November 1967 thru November 1968. 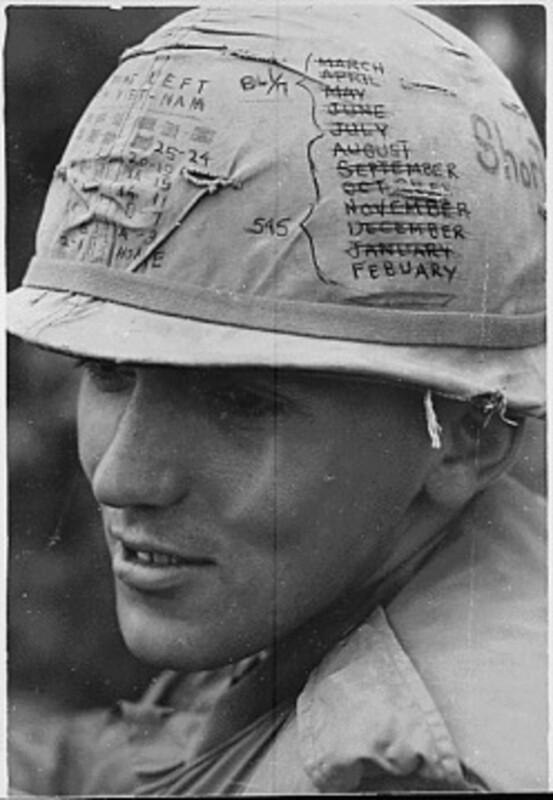 Excellent resource to read about Vietnam, the 10,000 day war, over 55,000 military killed. 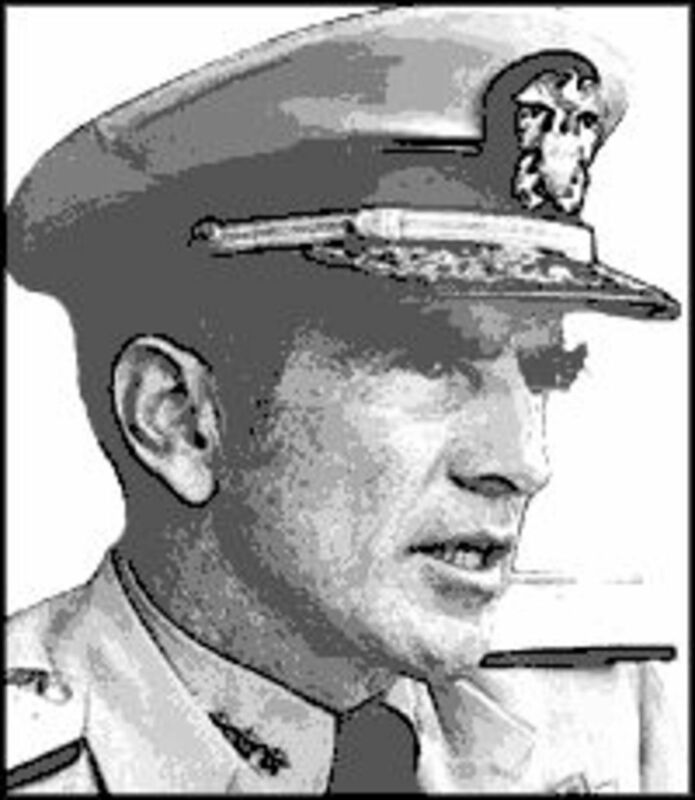 ‡ New York Times obituary of Elmo R. Zumwalt 3rd, age 42, son of the admiral who ordered Agent Orange to be sprayed over the area where his son was serving his tour. He wrote a book on how guilty he felt but only after his son had gotten sick from Agent Orange. Veterans Administration reverses a decision about benefits -August 2013 article. Vietnamese woman's story dealing with Agent Orange effects. 2010 story still counting casualties 35 years later. To do the captioned topic any justice at all, this would require several more hubs to adequately tell more of the story. It is far more than I am able to undertake after writing this hub. So for now, I am going to end with these last videos. I think you have read enough about Agent Orange and seen enough pictures to know the bad effects of the herbicide. The last video is a music video I hope you will remember long after you close the tab on this hub. The Veterans Administration Hospitals Will Not Treat Certain People Exposed To Agent Orange! Listen to the words of this 4 minute song, especially "They killed me in Vietnam and I didn't even know." What a truly nasty, awful substance. Wonderful hub. It is really bad when you see that until now many still suffer without much help. I can't imagine the general feeling of the people now living with the effects. I wasn't aware of the airbase in Thailand, thank you for bringing it to our attention. I'm glad you found my article interesting. Thank you for reading and for your comment. I am so very sorry about your husband and it is a shame the government sat on their hands so long before making their decision. But I do believe it was calculated. With the new Obamacare, they have access to all medical records and make ballpark guesstimates of life expectancy. They make sure the benefit approvals coincide within a year of death so they don't have to pay out life-long benefits. I read that on one of the Agent Orange forums (google it and you'll see about a dozen of them). I am sorry he didn't get to have a few months to enjoy his benefits and I'm sorry for your loss. Thank you for your comment to the hub and for sharing. I live in Takhli, Nakon Sawan, Thailand. Takhli was , and still is, the site of a massive airbase. It was used to launch a great many missions during the Vietnam war. The subject of AO is much talked about here so i found your article very interesting. Thank you for sharing. And well we should all shudder. Monsanto's name should be mud. But do you know they can no longer be sued? The US government made a law to protect them, especially due to the GMO side of their company. The government is still protecting them all these years. What's wrong with that picture? I hope I'm still around when their day of reckoning comes. Thank you for reading and commenting here. I shuddered when I saw the name Monsanto. Excellent and informative hub. @bravewarrior. Monsanto harmed more than just those who served on both sides. Years later when the planes were being reused for civilians, those people also got sick and have lifelong cancers. They will never see a Disability benefit until it is time for them to collect regular Social Security. For generations to come, until we don't know how long it takes to get watered down, these birth defects will haunt us. I hate to keep repeating myself but some readers don't go back over the previous comments. I know you do but some don't. Monsanto is the most evil company I know because they don't care one bit about what they are now doing to our food supply with GMO's - a subject I have written extensively about. When I was researching this hub, their blatant disregard obviously started way back then in the Vietnam war. The US government is also to blame big time. They needed companies who would do their bidding without question and who could keep supplying the product on demand. While DuPont and Monsanto were the two big giants who had the most access to the chemicals, what the public doesn't know is that there were 18 companies all together who were the big chemical companies of the day and ANY ONE of them could have laid their hands on the chemicals to make the defoliant that the US government requested. The saying that the rich get richer should not be overlooked here. DuPont and Monsanto were the biggest of the 18, so it was logical to go to them first. But what is curious is that they had no qualms about filling the order. Rachel Carson had already written her book by then - so the word was OUT! But because she was considered a "hysterical woman" in the 1960s, no one listened. Women are no longer considered "hysterical" and we are entrusted to keep writing on this subject. We need to get the word out and keep getting it out, so these people get the care they are ENTITLED TO. Thank you for sharing this hub and for your fervor on this subject. @billybuc. Hello Bill. They sure are Public Enemy #1 and hiding behind the US Government who gives the stamp of approval on everything they do or want to do. As I said in a previous comment, the use of Agent Orange should be considered a "War Crime!" Researching this, I looked through hundreds of pictures of deformed babies and read countless cases of veterans (US & Vietnamese) who will have illnesses for the rest of their lives. It's been almost 40 years and these poor souls are not getting the rightful medical care and benefits they need from OUR government. I read one study that says they account for more than 75% of the homeless on our streets. Thanks for stopping by to comment. I know how busy you are and I appreciate it. @PegCole17. We sure didn't see any of it coming! I doubt if we (individual soldiers and citizens at home) would have been able to do anything about military decisions or use of Agent Orange. I absolutely believe that the use of Agent Orange should be considered a "War Crime!" Look what they did to Americans and to people in Vietnam for generations to come. If that isn't a War Crime, I don't know what is. Thank you for your praise and for commenting. @Pico Triano. Monsanto is to blame for more than you know. A list of what they do NOT have their hand in would be easier to compile since it would be a shorter list. They are the most corrupt company I know and the government backs them on everything they do. I wonder if they feel beholden to them for helping them in the VIetnam War effort. If they do, well - it's been nearly 40 years since the war ended. It's time to consider the debt paid. Thank you for your comment. 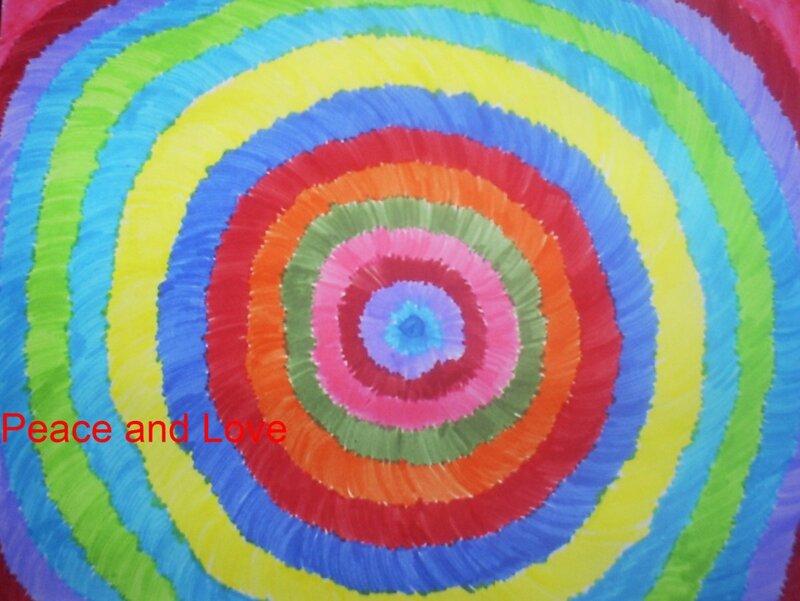 @misterhollywood,Thank you for following me, for sharing and for commenting here. @Jodah, Thank you for such high praise, John and for voting and sharing this hub. I wrote it about 2 months ago and it's been sitting here waiting for me to "get it done." Due to some deaths in the family, I turned off the computer and haven't even been on Hubpages to read anyone. I thought the videos were pretty much on point too. Monsanto is so very evil, that I can only begin to touch the surface. If I were to write what I really think in a hub, I'd either get kicked off Hubpages or get sued. Monsanto is very sue happy as they have proven with the GMO situation with farmers. Thank you again. Mary, you've done a superb job of researching and presenting the dangers of Agent Orange, Dioxin, and even Monsanto. It makes me so angry that our government knowingly harmed not only our people but anyone who fought in Vietnam. The effects are obviously residual for generations. Who knows how long it will take - if ever - for the toxins to be sloughed from the body. And then to deny our veterans proper treatment is just unthinkable and unforgivable. What's worse is Monsanto is continuing to kill and maim our people even to this day - by poisoning our soil and food supplies, with government blessings. It all just makes me sick to my stomach. I'm helping you spread the word by sharing this all over the place. Wonderful research, Mary. I stand by my assertion that Monsanto is Public Enemy #1 in this country, and they are practically given free rein to do what they want. Thanks for the food for thought today. Mary, this deep and thought provoking article has really brought the message home. Living through these times, we didn't really see the long term implications of the chemical warfare. Our friends went off to war and came back inexplicably changed. Now we see how, in more ways than met the eye. You've presented the material in a factual and informative way that really hit home. Your videos and charts were necessary and supported your material. Thanks for this indepth explanation. Well done. Excellent hub. PCBs, Agent Orange, GMOs, Roundup, Saccharin, Aspartame and now I find out Monsantos is to blame for Astro Turf too. Taking a tumble on that stuff as an athlete was no fun. Amazing hub! I'm going to share with some students of mine. Powerful and informative!! What a wonderful hub Mary. Probably the most important article I have read this year. The use of Agent Orange was a travesty comparable to other 'war crimes'., especially when the Government had been warned of the dangers beforehand. The soldiers fighting in Vietnam were given no warning of what was being sprayed was dangerous and took no precautions to avoid it. I have written hubs before preaching what an evil organization Monsanto is, and this hub just confirms that even more. Thank you for all the research you put into this and also the wonderful videos and photos you have included. Well done. Voted up and shared.